Welcome to a week long feature on Book and Sensibility where we countdown 25 authors published under age 25. 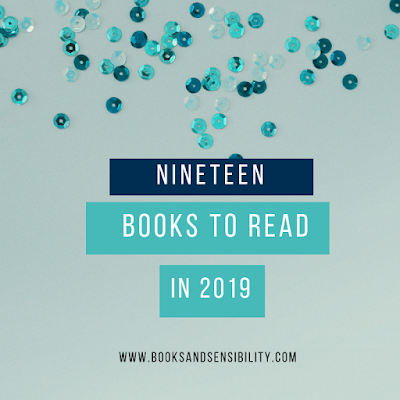 We hope this feature serves as encouragement to young writers and to those who are young at heart ! 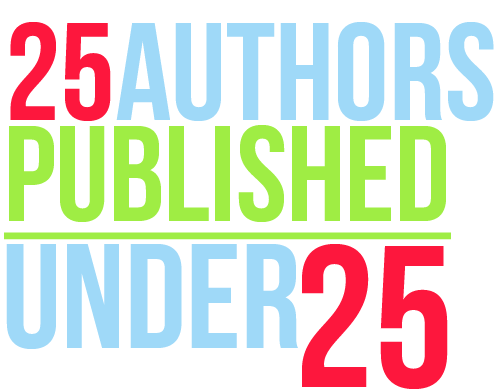 To kick off we are going to start with authors who not only published under 25, but when they were sill teenagers. This Australian teen is known in the U.S for her angelic Halo series, but her first novel The Shadow Thief was published by HarperCollins Australia in 2007. The next novel in the Halo series, Heaven, debuts in 2012. Korman wrote his first novel This Can't Be Happening at MacDonald Hall as a seventh grade Language Arts assignment. 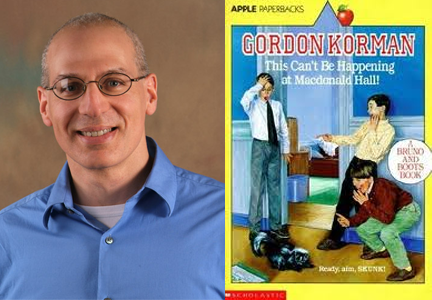 A few years later it was published by Scholastic in 1978. Since then he has published over 50 middle grade/YA books. 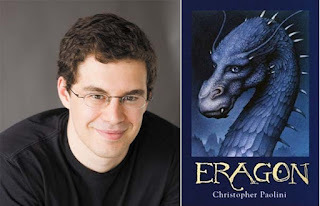 A type of publishing Cinderella story, Paolini's novel was first self- published by his parents in 2002. Later the novel was picked up by Knopf and at 19 years old Paolini became a New York Times Bestselling author. 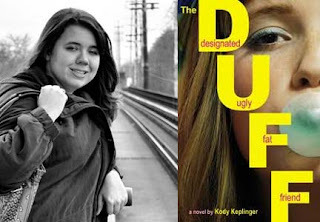 Since her novel The Duff debuted in 2010, Keplinger had been hard at work publishing two more books with the Hachette Book Group imprint, Poppy.She is now balancing her writing career and college. A movie version of The Duff is hitting theaters in 2015. 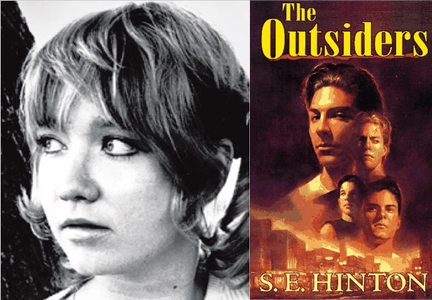 Viking Press published the iconic novel The Outsiders by college student S.E Hinton in 1967. The novel is based on Hinton's experiences with two cliques in high school. The Outsiders a has gone on to become one of ALA's most frequently challenged books. 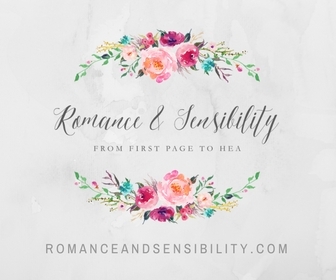 The same giveway is located on each page so you only have to enter once. 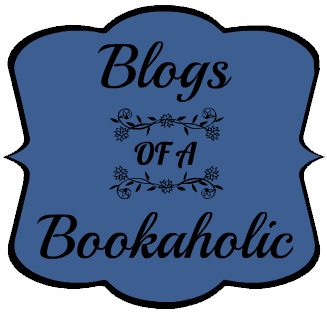 At the end of the week all 25 books will be revealed! Wow! 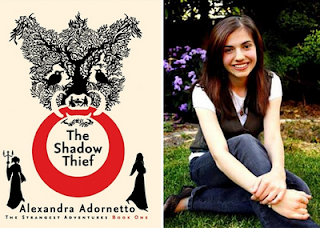 I did not realize that Alexandra Andornetto was so young when she wrote her first book. Awesome post! I had no idea the person who wrote The Outsiders was under 25 when she wrote it. And I've heard great things about The Duff. Wow! How did I not know about all of this awesomeness? This is why I love authors. They always surprise me.